“Inauthentic” behavior was linked to entities in Iran, Russia, Macedonia, and Kosovo. Dropbox quietly introduced earlier this month a new device limit for free accounts. Etsy hasn't said how many sellers are affected, but there are hundreds of complaints in their seller forums. Etsy hasnʼt said how many sellers are affected, but there are hundreds of complaints in their seller forums. 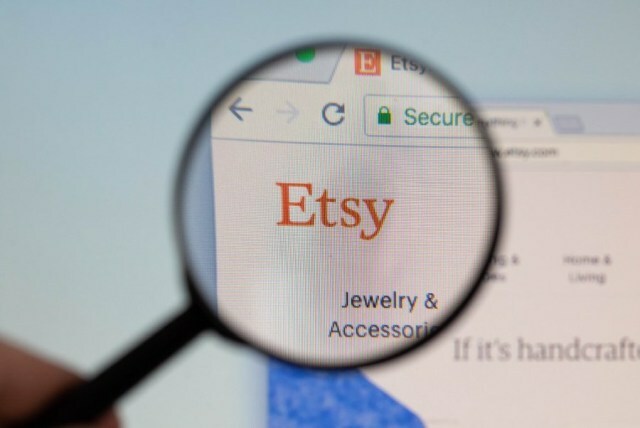 People who sell crafts and other goods on Etsy, an e-commerce site focused on handmade and small-batch products, say they woke up to a nasty surprise Friday morning when thousands of dollars were withdrawn from the bank accounts and credit cards sellers are required to have on file in order to have an Etsy storefront. The amounts of those surprise withdrawals varied wildly, from a few hundred dollars, to tens of thousands. Some of the attempted withdrawals were blocked by the sellers’ banks and credit card companies, resulting in canceled cards and frozen accounts. But others went through, leaving those sellers with empty checking accounts, overdrafts, and over-the-limit fees, and a whole lot of questions. Reports of the financial chaos began trickling in on Etsy’s Community Forums and on Twitter late Friday morning. Other sellers chimed in with similar stories and by Friday afternoon, there was chaos, confusion, and a lot of pissed off people. Thatʼs just a small example of the outrage. Etsy posted a blanket response in their Bugs forum. "Weʼre aware of a bill payment error affecting a small group of sellers which resulted in some cards being incorrectly charged. We donʼt expect this error to impact additional sellers going forward. For affected sellers, weʼre very sorry for the trouble and concern this may have caused and we are currently working to make things right. Weʼll update the impacted sellers directly as we have more information." And that was it for Friday from Etsy. Instead of canceling the transactions directly with the sellersʼ banks or credit card companies, Etsy chose to refund the money to the shop owners payment accounts. This is a problem for multiple reasons. Because this happened on a Friday, and because Monday is a national holiday, the earliest the sellers will have access to their money is on Tuesday. They will then have to redeposit that money into their checking accounts or pay their credit card bill. That still leaves some sellers them with overdraft and over-the-limit fees. Then thereʼs a potential tax issue. Money placed in shop owners payment accounts is considered taxable income and is reported to the IRS by Etsy. This has some sellers concerned that their 2019 1099s will include the refunded amount. If that happens, the sellers could potentially owe taxes on money they never earned. Oh, and donʼt forget the credit score dings that people whose cards went over the limit could potentially suffer. Iʼve reached out to Etsyʼs media team with the following questions but have yet to hear back. • When did Etsy first become aware that these withdrawals from seller account began? • How many sellers were affected? • Is it confirmed that this was a glitch and not a hack? • Why did Etsy choose to credit the seller accounts with the amount of money withdrawn instead of canceling the transactions directly? • What are Etsyʼs plans for handling the overdraft/overlimit fees incurred by sellers as a result of these transactions? • What are Etsyʼs plans for handling the tax implications? 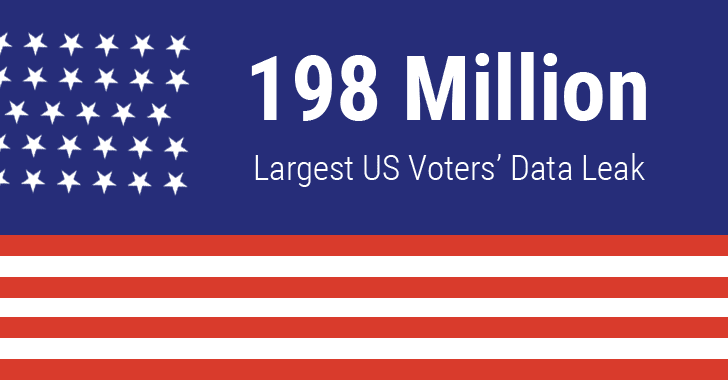 • How will Etsy prevent this from happening in the future? On Friday, February 15, a bill payment error affected a small group of sellers which resulted in some cards being incorrectly charged. Sellers who were affected have been notified by email, or by Etsy Conversations, and the issue that caused this has since been resolved. As part of fixing this issue, all incorrectly charged cards have been refunded. It may take several business days for the refunded amounts to clear and settle in card accounts. Also related to fixing the root problem, some sellers saw their scheduled deposit of funds returned to Etsy on Friday, February 15, and those deposits will now be sent on Tuesday, February 19. For affected sellers, we are very sorry for the trouble or concern this may have caused. Our first priority has been to correct the issue. This was not a fraud issue, but instead an error related to a site change which affects a small group of sellers and is unrelated to buyersʼ purchases. This is an issue we do not take lightly. We’ve assembled a Payments task force, including senior executives across Etsy, to address any concerns or troubles resulting from this error. We will refund any undue fees associated with this incorrect charge and change in deposit schedule. We don’t expect this error to impact additional sellers going forward. Etsy has one hell of a mess to start cleaning up. Good luck, Payments Task Force. Update: A representative from Etsyʼs communications team responded to my email, directing me to the message sent to sellers this afternoon and said they have no additional information to share at this time. [IMG]Chinaʼs real-estate bubble is the largest in human history, and despite years of warning signs, it has grown and grown, spilling over into the rest of the world. [IMG]Amazon doubled its profits in 2018, to $11.2 billion; the company will receive a $129 million tax rebate for the year. Hacked Dunkin' Donuts accounts are now being sold on Dark Web forums. Spotify will take a harder stance on ad blockers in its updated terms of service. 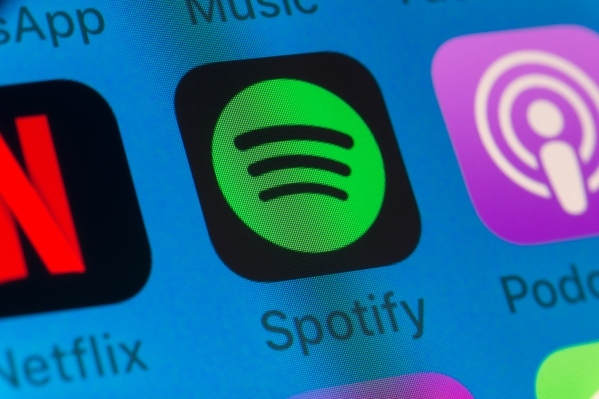 In an email to users today, the streaming music and podcast platform said its new user guidelines “mak [e]it clear that all types of ad blockers, bots and fraudulent streaming activities are not permitted.” Accounts that use ad blockers in Spotify face immediate suspension or termination under the new terms of service, which go into effect on March 1. Ad blockers have long been a headache for Spotify. The company disclosed in March 2018 while preparing for its initial public offering that it discovered two million users, or about 1.3 percent of its total user base at the time, had been using ad blockers on the free version of Spotify, enough to force it to restate usage metrics. Around that time, Spotify also began cracking down on unauthorized Android apps that let people access Spotify without ads. During its fourth-quarter earnings report yesterday, Spotify reported positive operating profit, net income and free cash flow for the first time since it was founded in 2006. The company, which went public in May 2018, fell below analysts’ expectations for revenue, but is continuing to grow quickly despite intense competition from other streaming services, with subscribers increasing 36 percent to 96 million. Revenue from paid subscriptions now account for nearly all of Spotify’s turnover, or 88 percent. Ad-supported revenue makes up a much smaller slice, but as public company, Spotify is under more scrutiny to prevent ad-blocking, piracy or anything else that might cut into its earnings or subscriber growth. Spotify also announced the acquisition of two podcast startups this week, Gimlet Media and Anchor, as it focuses on gathering all of the audio content its users might listen to into its service. Youtubeʼs ContentID system allows rightsholders to upload video and audio and block videos that contain their works (or put ads on those videos and take the revenue they generate), and to have the accounts of repeat copyright offenders permanently deleted, along with all their videos. ContentID is badly flawed. On the one hand, it routinely catches things that arenʼt copyright infringements (like birdsong, white noise, or home-recorded performances of classical music). On the other hand, the system has few checks and balances. While Youtube requires that people who want to make ContentID claims go through a vetting process, the process is very lightweight and allows all kinds of bad actors in, who can then steal creatorsʼ revenues by falsely claiming copyright over their videos. No one expects Youtube to be perfect, but it also fails with a remarkable lack of grace. The small number of humans available to review contested claims means that people who fall afoul of machine error, sloppiness and criminal mischief are often unable to get a fair hearing or justice. This phenomenon is familiar to anyone whoʼs had a complaint against one of the big platforms: unless your story makes the news, youʼre likely to get stuck in an email loop where your complaint keeps getting sent back with irrelevant, semi-automated responses that make it seem like no one has even paid enough attention to understand whatʼs going on. That lack of human oversight creates the perfect conditions for all kinds of fraud and malice, and criminals have noticed. A Youtuber called ObbyRaidz, who makes videos about Minecraft, has found himself having received two copyright "strikes" on Youtube from a blackmailer calling themselves VengefulFlame, who has demanded "$150 PayPal or $75 btc (Bitcoin)" or equivalent "goods/services" to have the strikes removed. 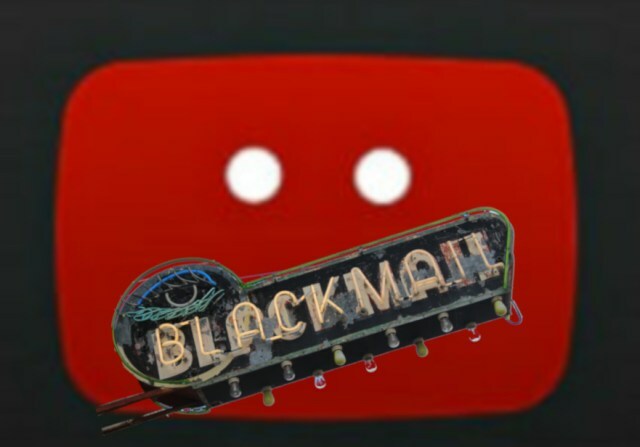 If ObbyRaidz doesnʼt comply, VengefulFlame could send one more complaint to Youtube and have ObbyRaidzʼs account -- and all the videos heʼs created -- permanently deleted. ObbyRaidz says heʼs been unable to get any help from Youtube, despite repeated complaints and entreaties. The extortion attempt is a timely reminder of whatʼs at stake in the fight over the EUʼs Copyright Directive, which mandates a much broader version of ContentID, but for every service and every type of copyrighted work, from tweets to Minecraft skins. Under the proposal, anyone could add anything to the databases of blocked content, and get anyone elseʼs work censored; while this could be used simply to suppress information that a fraudster doesnʼt like (say, reports of political corruption or complaints about a scammy business), they could also be used as fuel for extortion. Like many YouTubers, ObbyRaidz says he’s worked “really hard” on his channel but with no help from YouTube, he’s scared he’s going to lose his entire channel due to these bogus complaints. “It’s not fun and i’m gonna be really sad to see if my channel gets terminated. Then I have to go through the process of getting in contact with YouTube and stuff. YouTube is very broken and I want to see if they can fix their system so this doesn’t happen to other content creators,” he says. [IMG]After the last-minute collapse of negotiations over the new EU Copyright Directive, things have only gone from bad to worse for the beleaguered (but deadly and far-reaching) internet regulation. Aus diesem Grund werde ich noch heute Abend auf nur einen Account (ravenbird@diaspora.town) zurückgehen. Die anderen Account werden weiter bestehen, aber es werden dort keine neuen Beiträge mehr eingestellt und auch nichts mehr weitergesagt. Vor ca. drei Monaten habe ich aus einen Account mehrere Accounts gemacht, um einige Defizite bei Diaspora (vor allen das Fehlen von Gruppen und Kanälen) ein wenig auszugleichen. bzw. damit jene die nicht so viele oder nur bestimmte Inhalte von mir wollten entgegen zu kommen. Nun wird es Zeit ein kurzes Resümee zu ziehen. Leider hat sich gezeigt das der Aufwand sehr viel höher als bei einen Account ist und das ich mich auf bestimmte Accounts konzentriert habe, während andere weitgehend verweist sind. Darüber hinaus hat sich gezeigt das ich in den beiden aktivsten Accounts fast die selben Kontakte habe, sprich die Aufteilung macht auch aus diesem Gesichtspunkt wenig Sinn. Zumal so recht schnell einiges das man weitersagt durcheinander kommt. So klickt man wenn man auf den auf privates ausgerichteten Account ist auch mal bei politischen auf 'gefällt mir' oder sagt es weiter und auf dem auf politisches ausgerichteten Account klickt man bei Sachen die eher zu dem privaten Account passen würden auf Gefällt mir oder sagt es weiter. Sprich eine klare Trennung ist schlicht und ergreifend nicht möglich. Welche Konsequenzen ich daraus ziehe? Um ehrlich zu sein keine Ahnung. Das muss ich mir in den nächsten Tagen näher durch den Kopf gehen lassen. Den so wie es sich jetzt darstellt, bringt die Aufteilung auf mehrere Accounts effektiv wenig, außer einen nicht unerheblichen Mehraufwand für mich.